Definition at line 27 of file syslink.c. Definition at line 28 of file syslink.c. Definition at line 29 of file syslink.c. Definition at line 30 of file syslink.c. Definition at line 128 of file syslink.c. Definition at line 163 of file syslink.c. Referenced by test_create_syslink(), test_LM_GETIDEALHEIGHT(), and test_LM_GETIDEALSIZE(). Definition at line 63 of file syslink.c. Referenced by START_TEST(), and test_create_syslink(). Definition at line 78 of file syslink.c. Definition at line 111 of file syslink.c. Definition at line 245 of file syslink.c. Definition at line 143 of file syslink.c. Definition at line 183 of file syslink.c. Definition at line 208 of file syslink.c. Definition at line 222 of file syslink.c. Definition at line 36 of file syslink.c. Definition at line 32 of file syslink.c. Referenced by AdvPropGeneralDlgProc(), CenterWindow(), ChildWindowFromPoint(), ClbStyleW(), co_UserCreateWindowEx(), CListView::Create(), CToolbar<>::Create(), ATL::CWindow::Create(), CTooltips::Create(), ATL::CDialogImpl< CEditCompatModes >::Create(), ATL::CWindowImplBaseT< CToolbar< TASK_ITEM >, CControlWinTraits >::Create(), ATL::CWindowImpl< CShellBrowser, CWindow, CFrameWinTraits >::Create(), CreateDialogIndirectParamA(), CreateDialogIndirectParamAorW(), CreateDialogIndirectParamW(), CreateDialogParamA(), CreateDialogParamW(), CreateMDIWindowA(), CreateMDIWindowW(), CISFBand::CreateSimpleToolbar(), CreateWindowExA(), CreateWindowExW(), CTaskSwitchWnd_CreateInstance(), DeviceAdvancedPropertiesA(), DeviceAdvancedPropertiesW(), DeviceCreateHardwarePage(), DeviceCreateHardwarePageEx(), DeviceManager_ExecuteA(), DeviceManager_ExecuteW(), DeviceProblemWizardA(), DeviceProblemWizardW(), DeviceProperties_RunDLLA(), DeviceProperties_RunDLLW(), DevicePropertiesA(), DevicePropertiesExA(), DevicePropertiesExW(), DevicePropertiesW(), DevInstallW(), DialogBoxIndirectParamA(), DialogBoxIndirectParamAorW(), DialogBoxIndirectParamW(), DialogBoxParamA(), DialogBoxParamW(), DisplayAdvancedSettings(), DisplayDeviceAdvancedProperties(), ATL::CDialogImpl< CEditCompatModes >::DoModal(), EnumChildWindows(), EventLogProperties(), HardwareDlgProc(), CIconWatcher::Initialize(), CTrayClockWnd::Initialize(), CNotifyToolbar::Initialize(), CSysPagerWnd::Initialize(), CTaskToolbar::Initialize(), CTaskSwitchWnd::Initialize(), InstallDevInst(), InstallDevInstEx(), IsChild(), LaunchDeviceManager(), LaunchHardwareWizard(), NtUserCreateWindowEx(), NtUserFillWindow(), CBandSiteBase::SetDeskBarSite(), SHCreateWorkerWindowA(), SHCreateWorkerWindowW(), SHFind_InitMenuPopup(), ShowAboutDlg(), ShowDeviceProblemWizard(), SHSetParentHwnd(), START_TEST(), TbdInitializeDocks(), test_create_syslink(), test_CShellMenu(), test_CShellMenu_callbacks(), test_LM_GETIDEALHEIGHT(), test_LM_GETIDEALSIZE(), and User32CreateWindowEx(). Definition at line 40 of file syslink.c. Definition at line 56 of file syslink.c. Definition at line 109 of file syslink.c. Referenced by create_parent_window(), and register_parent_wnd_class(). Definition at line 34 of file syslink.c. 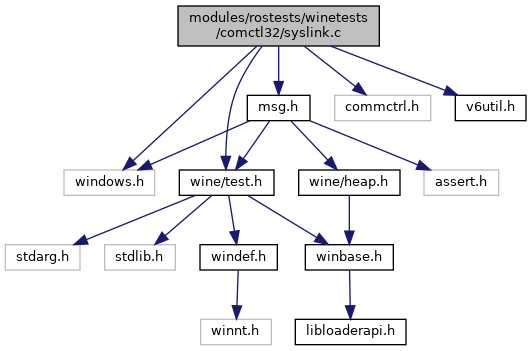 Referenced by parent_wnd_proc(), START_TEST(), syslink_subclass_proc(), and test_create_syslink(). Definition at line 141 of file syslink.c. Referenced by create_syslink(), and syslink_subclass_proc(). Definition at line 49 of file syslink.c.